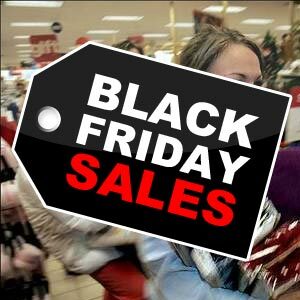 Black Friday is less than two weeks away and stores have already started previewing their Black Friday Sales. So, now is the time to start planning your attack! 🙂 I’ve gathered a list of some of the best deals to share with you! I’m noticing a trend of lots of great deals on electronics and Old Navy is going to have their popular Performance Fleece on sale for only $5 each! Some of the deals are actually enticing me to get up before the sun and shop, I might even hit Walmart at 10pm on Thanksgiving Day! I’m not sure if I’ll be going out on Black Friday, but I do like to look at all the ads just to make sure I’m not missing out on something I really wanted at a great price! I have a feeling that this Black Friday won’t be that good.